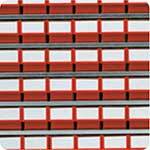 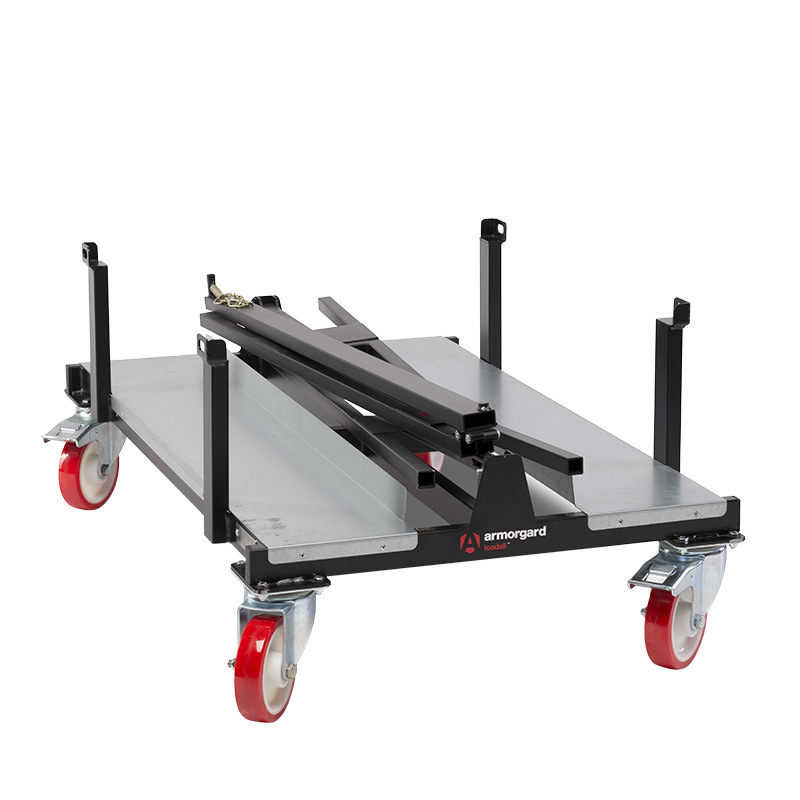 Armorgard LoadAll LA1000 mobile board trolley, foldable, stackable and no detachable parts. 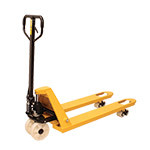 Transporting large plasterboard and other large material sheets can be a time consuming task, not only do these boards require at least two people to lift or a larger piece of machinery such as a forklift but it also normally requires the same action to be repeated several times. 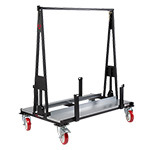 By using a board trolley like the LoadAll LA1000 not only would you have a safe location to store these boards but the mobile LA1000 can also be wheeled around building sites & warehouses eliminating some of the labour intensive manual handling that would previously have been required. 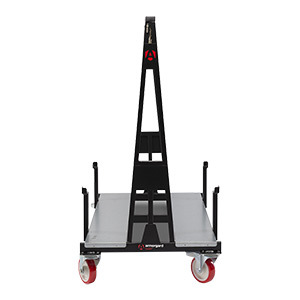 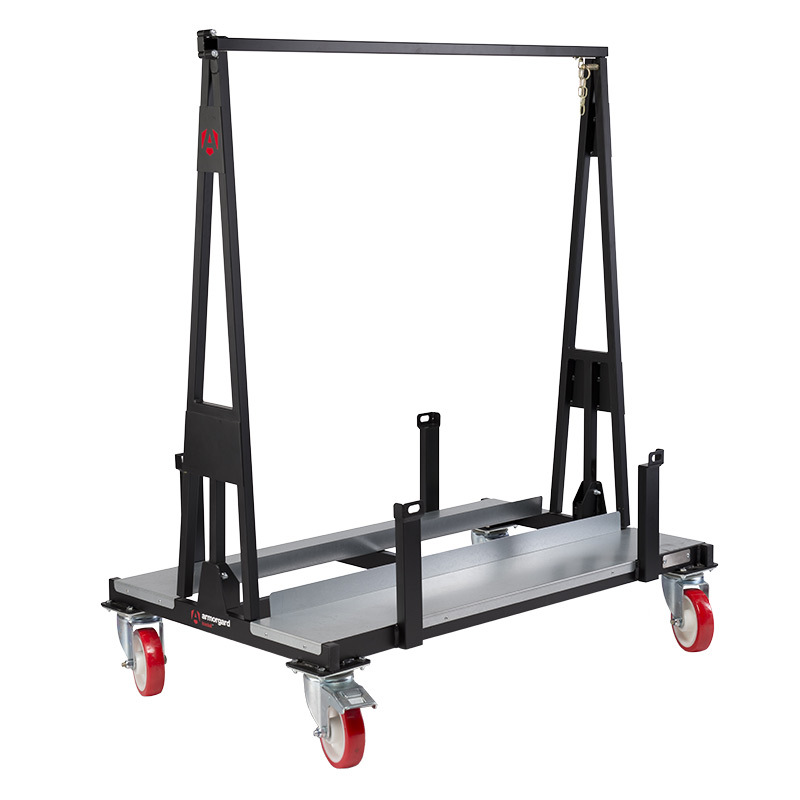 The heavy duty LA1000 board trolley is designed to save space everywhere, whether its in the yard, in a warehouse or on a delivery truck, transporting and storing large boards has never been so easy. 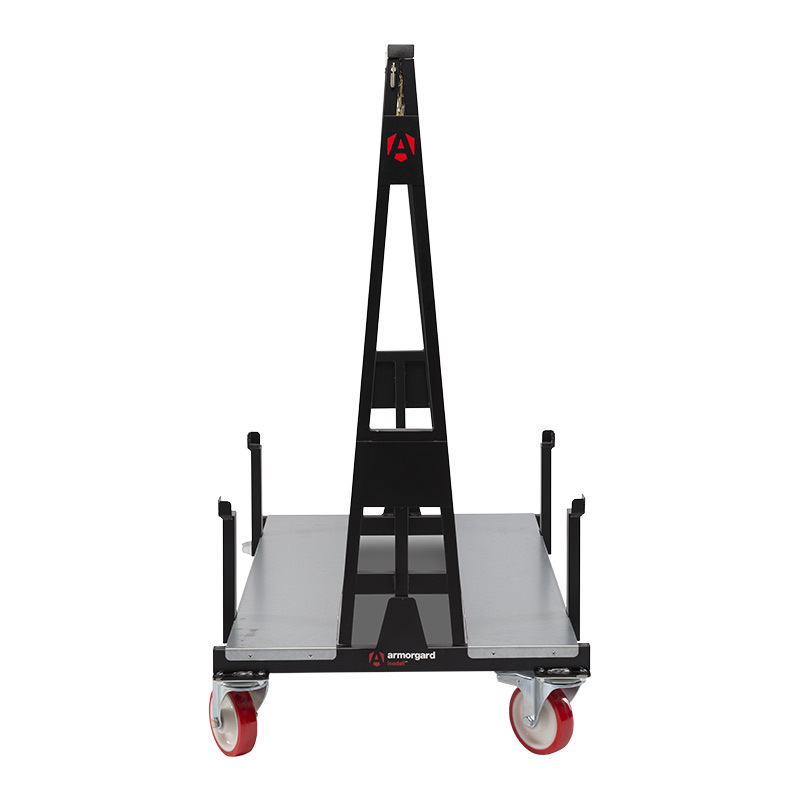 The LA1000 features a centre A-frame design which allows the boards to tilt inwards toward the centre keeping the trolley balanced and with a 1 Tonne load capacity and is capable of carrying up to 24 sheets of plasterboard - approximately 60% more than other alternative products. 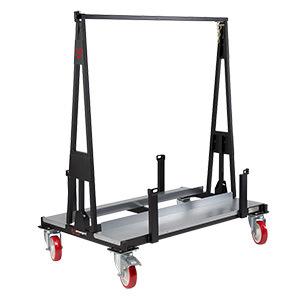 The LA1000 board trolley can also be folded and stacked for compact storage and with no detachable parts there's no chance of parts being lost as time goes on.